SkillsUSA students at the Howard G. Sackett Technical Center are continuing to provide assistance to area farmers through the free distribution of Sharps Containers. This is the third year the “Sharps Container Project” has been undertaken by BOCES students at the technical center and comes with a goal of purchasing 200 for distribution by the end of the current school year. To date, 40 containers have been purchased with 33 distributed. 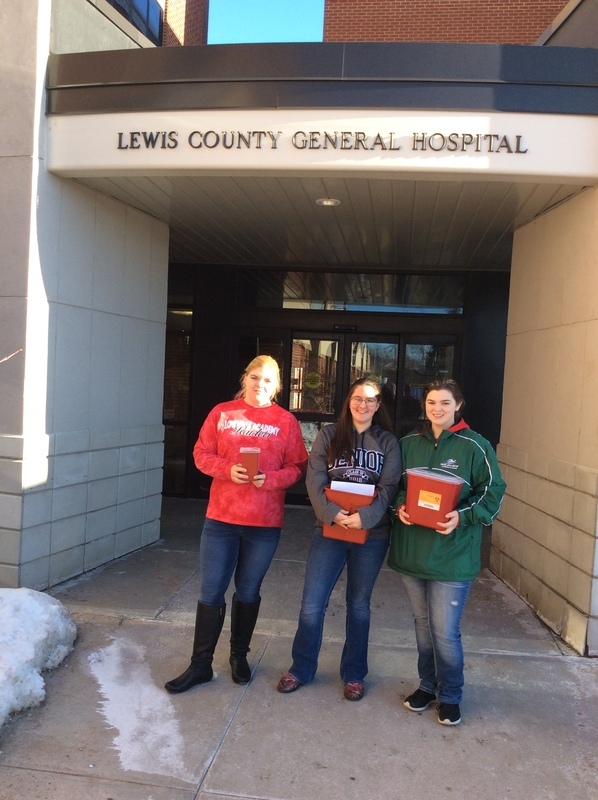 Undertaking the ongoing fundraising efforts to purchase the containers are SkillsUSA seniors Sapphire Christopher, Lowville, Sadie Buckingham, Adirondack, and Daniele Loomis, South Lewis. Sapphire recently gave a presentation on the community service project to members of the Lewis County Farm Bureau, explaining the importance of the containers and encouraging area farmers to utilize them. Sharps Containers are used for the safe storage of used syringes and other sharp objects. The containers can then be dropped off at Lewis County General Hospital for safe disposal. Farmers interested in obtaining these containers are urged to contact Veterinary Practices Instructor Blake Place at (315) 377-7300 to learn how to reserve one.